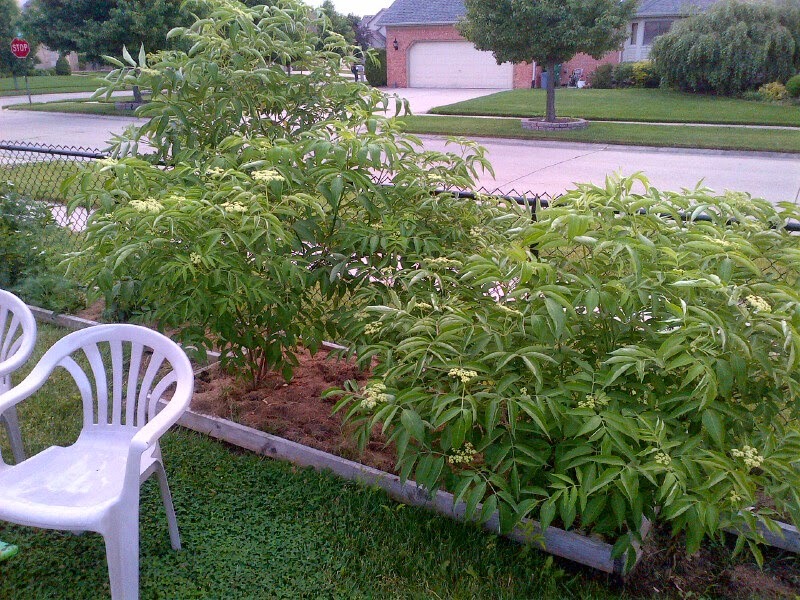 Check out my Metro Detroit early summer garden! My new project I started this year. This is phase 1 of 2. 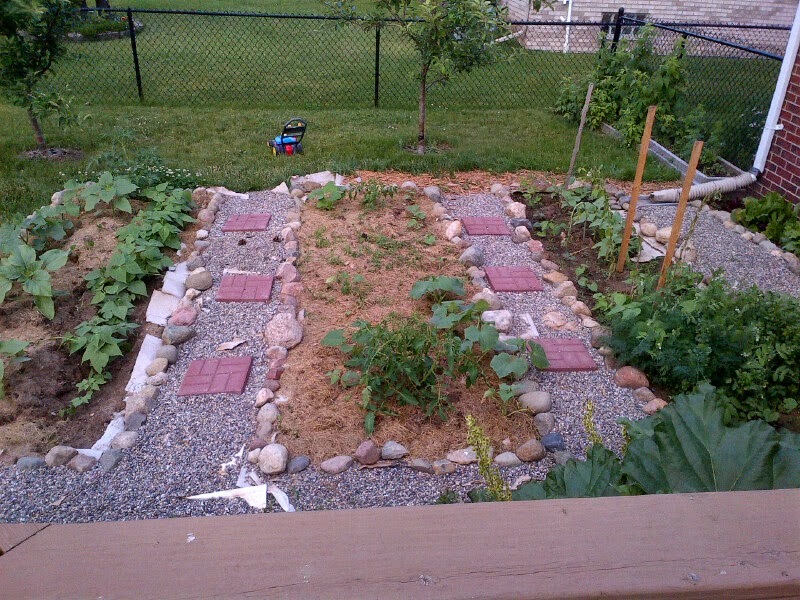 These beds have tomatoes, climbing beans, sunflower seeds for the beans to climb, pickling cukes, long cukes. 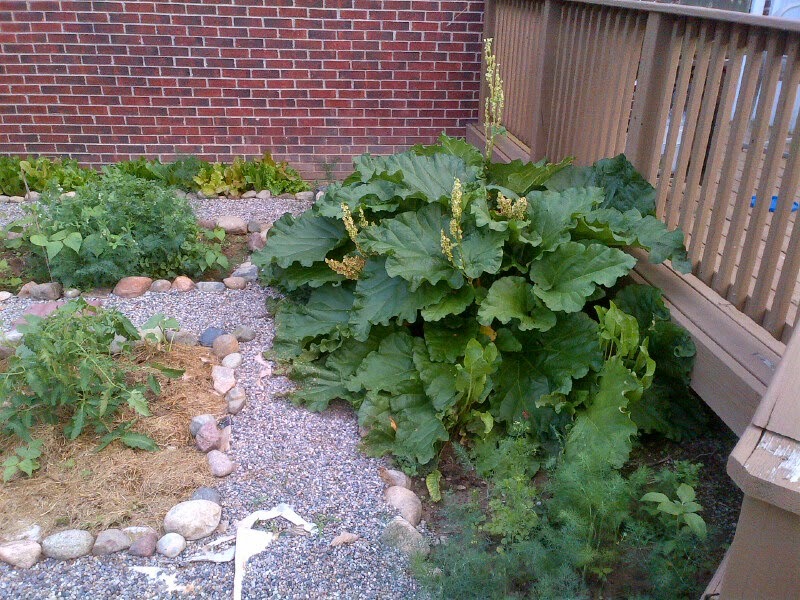 Big Rhubarb plant with some dill next to it that was volunteer. 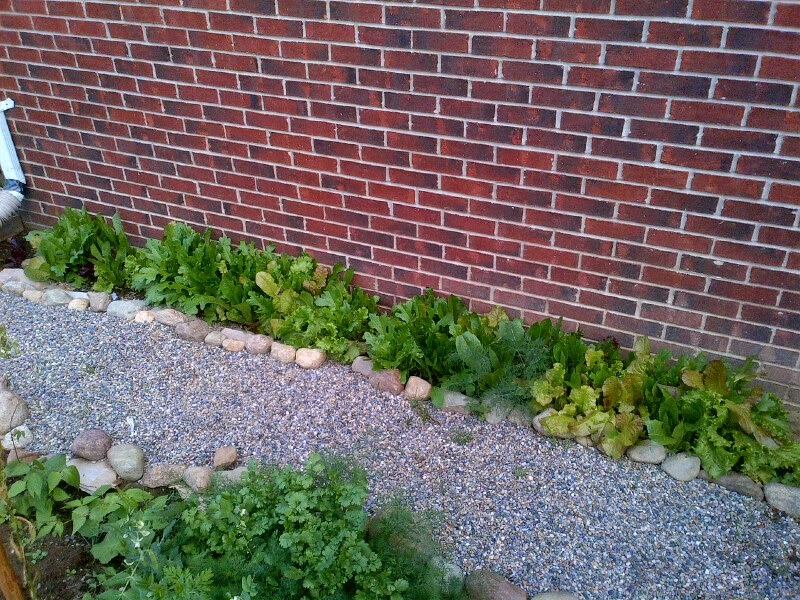 1 of 3 lettuce beds. I have been cutting this for a few weeks now. I cannot get to the end before the start is ready to harvest again. 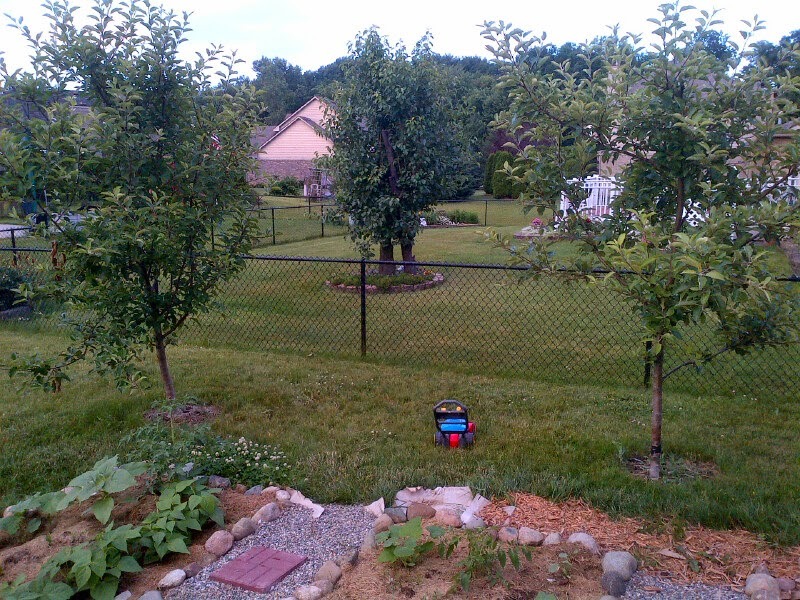 Apple trees at the end of my project. 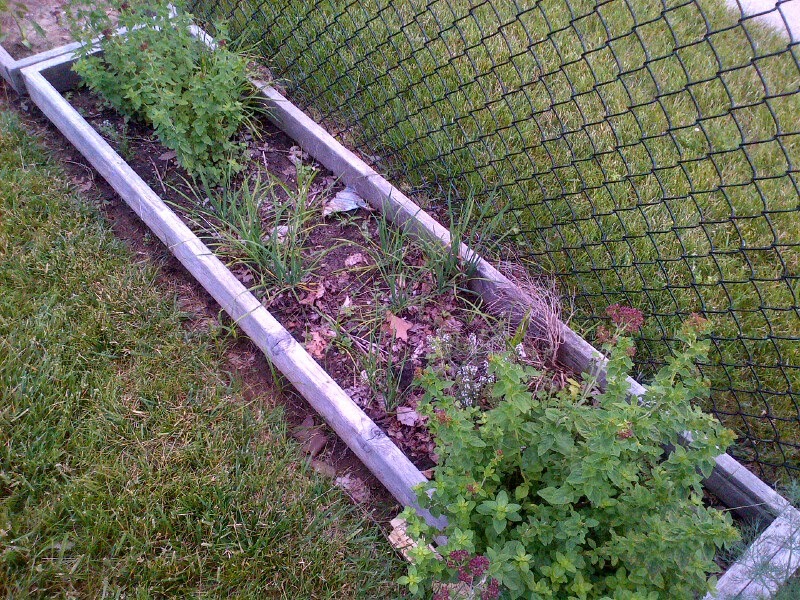 A lilac bush next to a bed of tomatoes and more volunteer dill/cilantro. 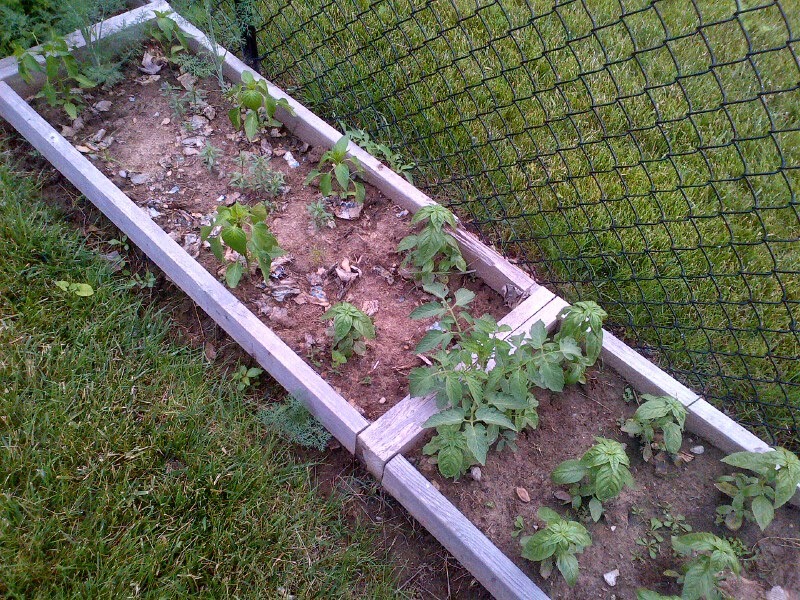 I have 14 tomato plants I believe plus volunteers I am letting grow to see what happens with them. 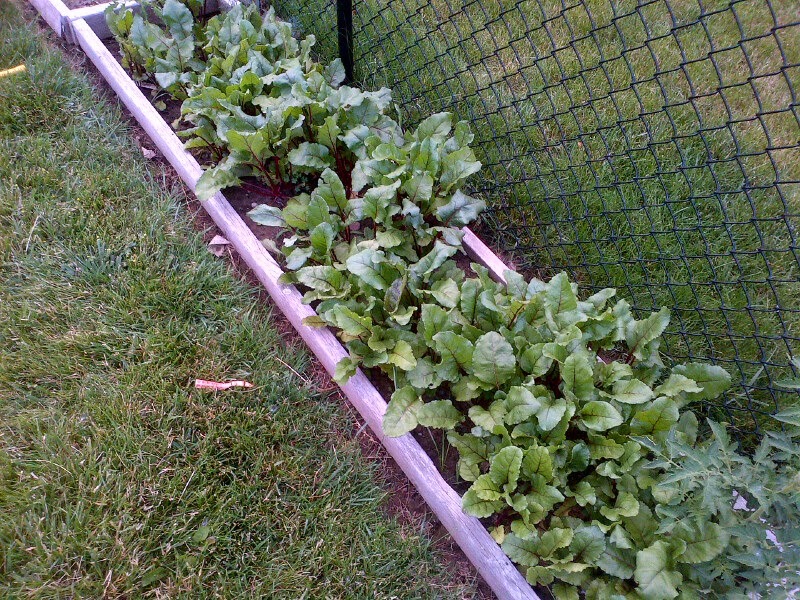 Beets- I have been cutting greens on the ones that I did not thin out. The rest will be grown for the root. Some spinach that have done their job. I am letting them live out their glory days for awhile more. 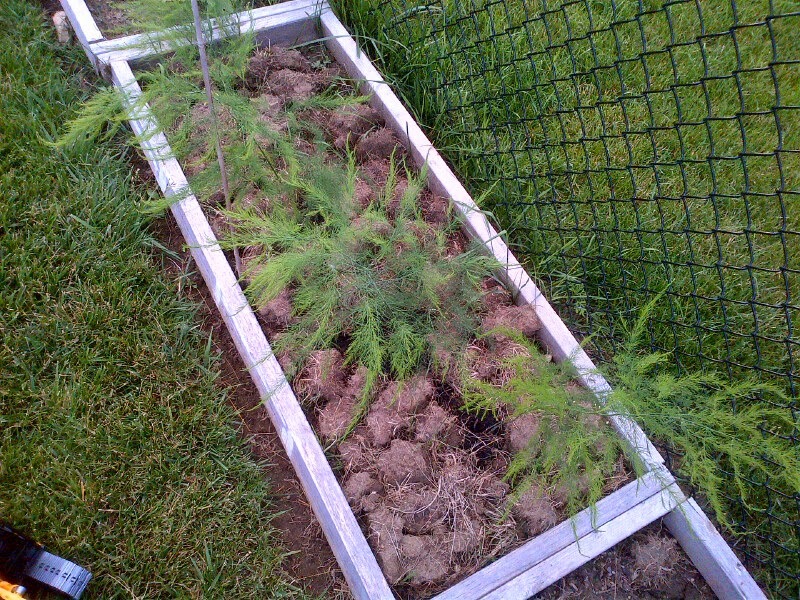 I am going to try to save seed from a few to see what happens. looking down one fence row. carrots with some eggplants in the back. 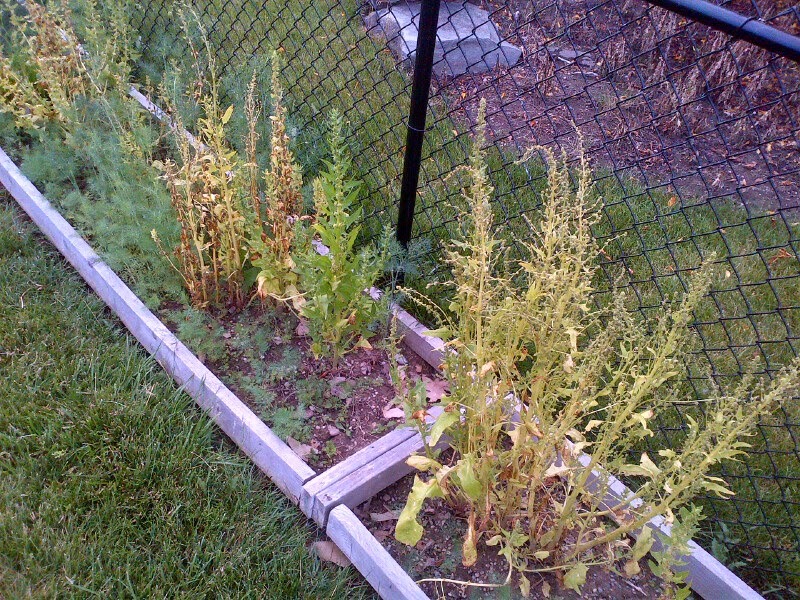 The kale I wrote an article about last fall. 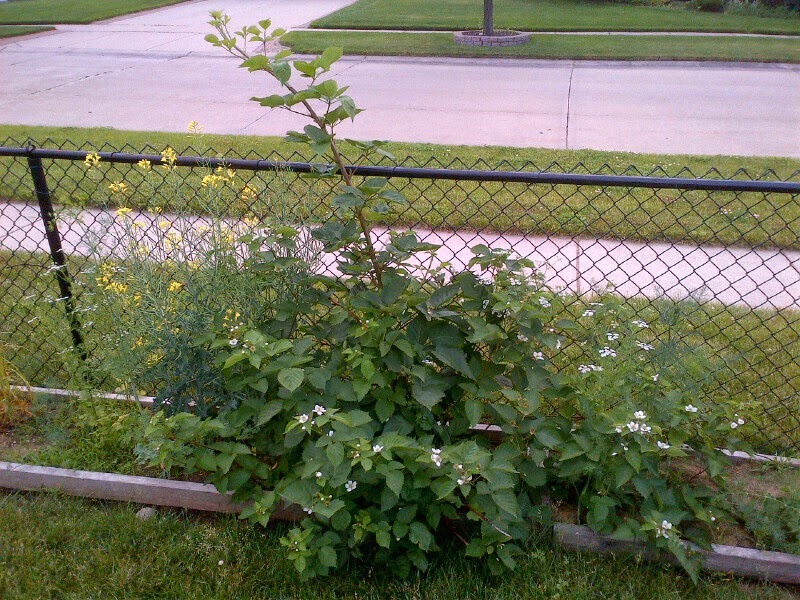 This stuff was planted in September of last year I believe. 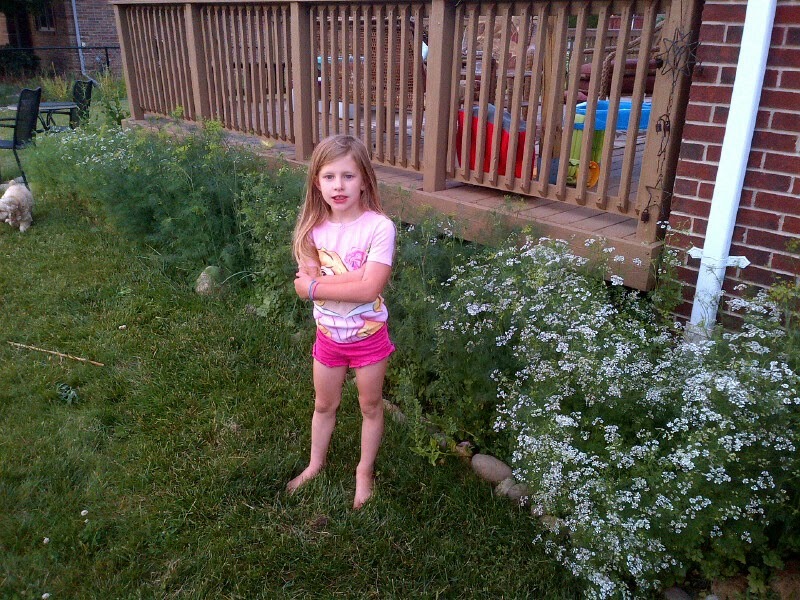 We picked a lot through January and then more in the spring when it came back. 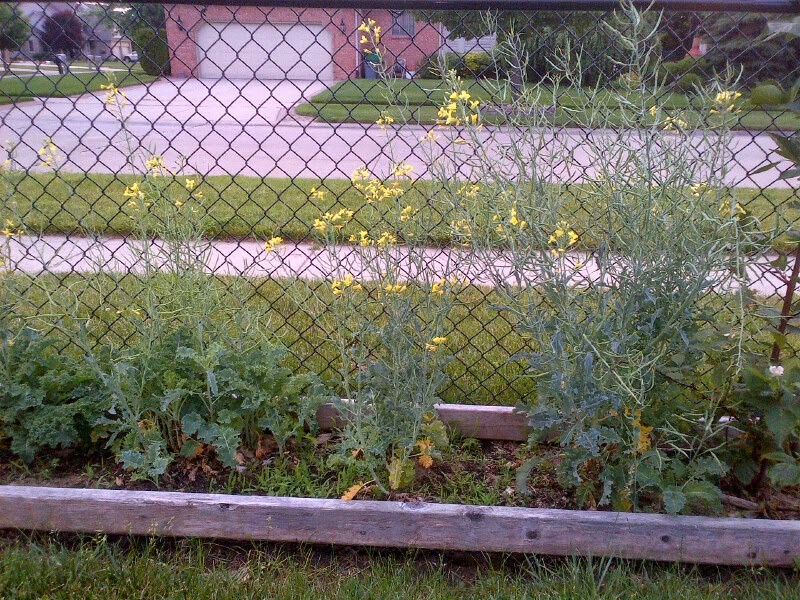 I am going to try to save some seeds from the big one on the right. 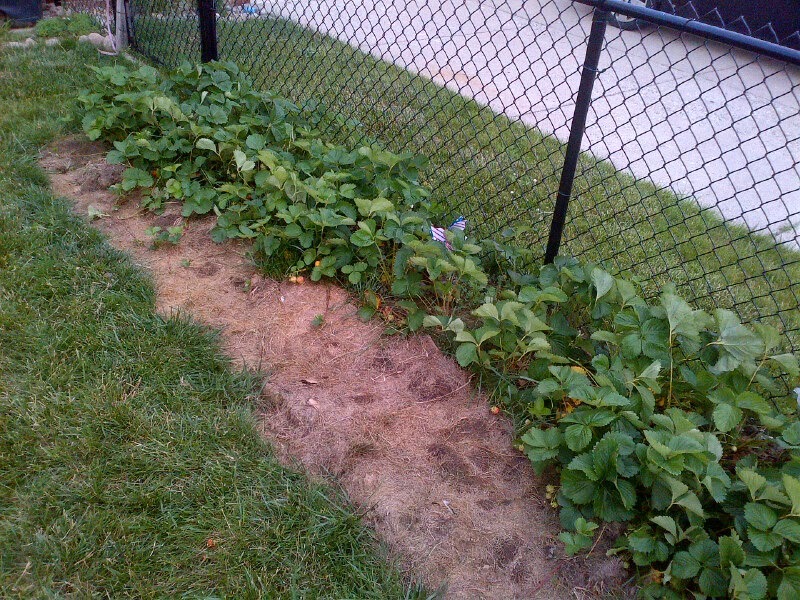 Strawberry plants. 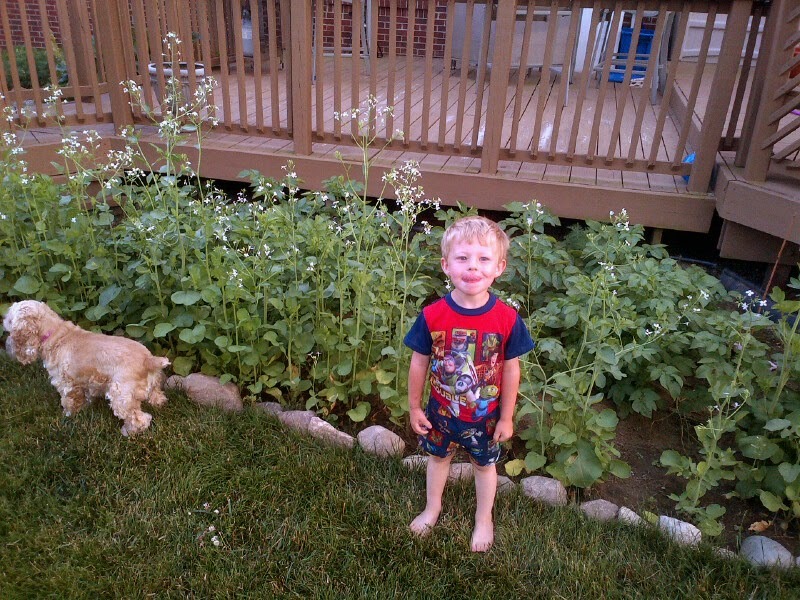 We have been picking a quart of strawberries daily for almost 2 weeks now. 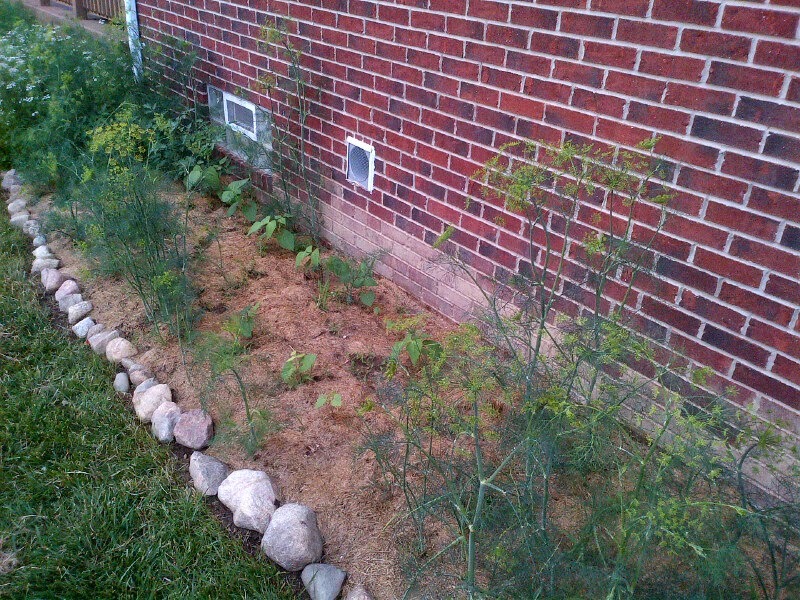 volunteer dill in the front with some green beans after. 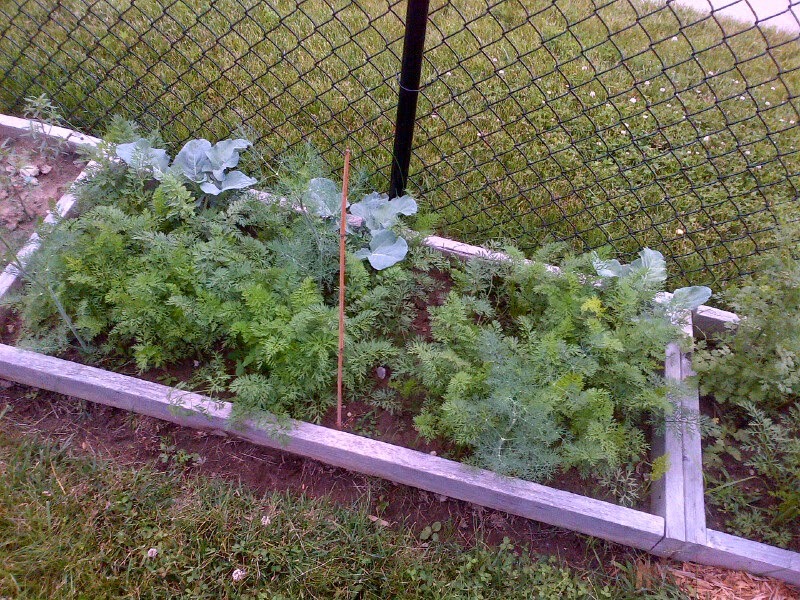 A row of volunteer dill and cilantro. I planted onions in the same row which are growing pretty well. I do not know if they will form bulbs given the competition with the dill and cilantro but we have been clipping the green part for green onions. a new planting of green beans then my potato bed with radishes in front. 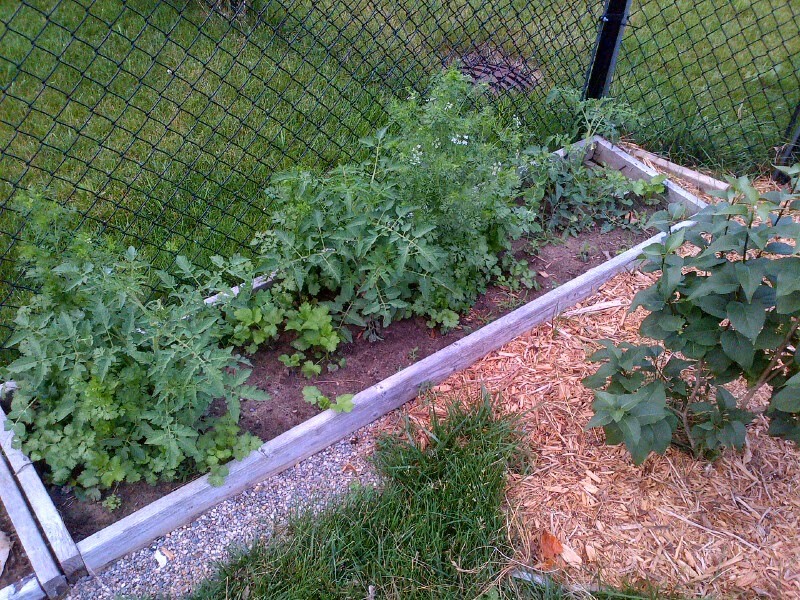 The front of my radish/potato bed. 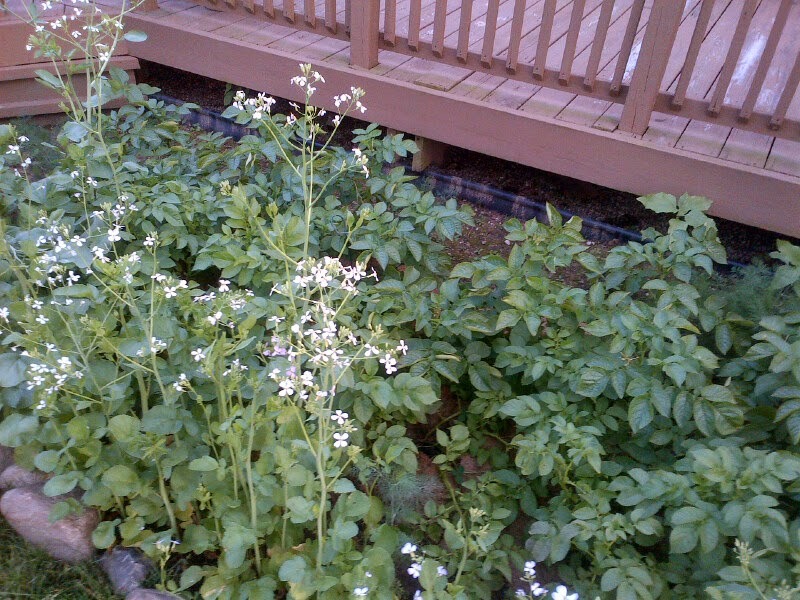 The radishes have flowered in the front from the heat. 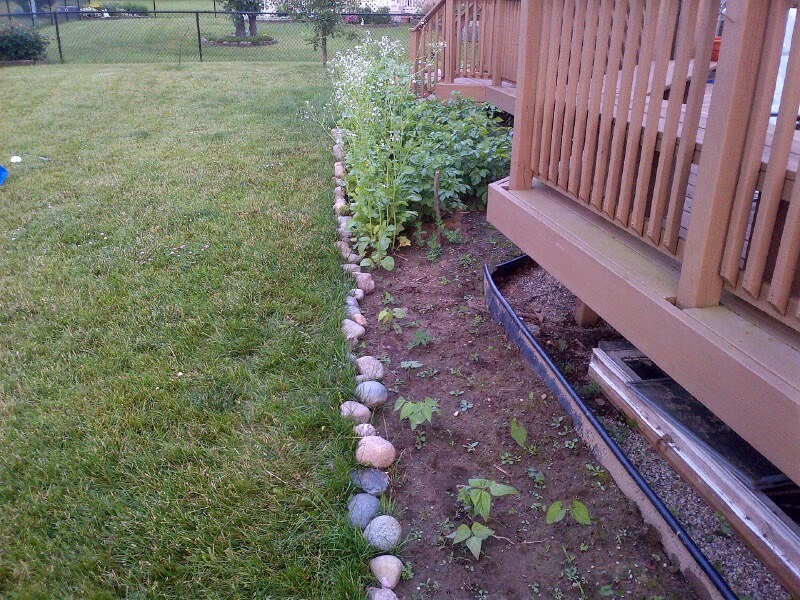 I have 6-8 potato plants behind and then a row of sunflower plants that you cannot see. 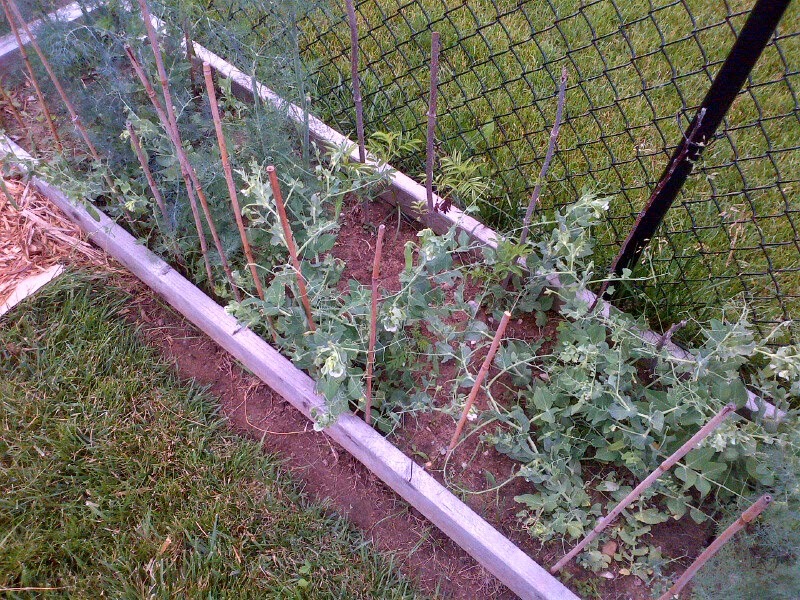 Peas are mixed in the bed along with flowers. The other part of the team. A close up. 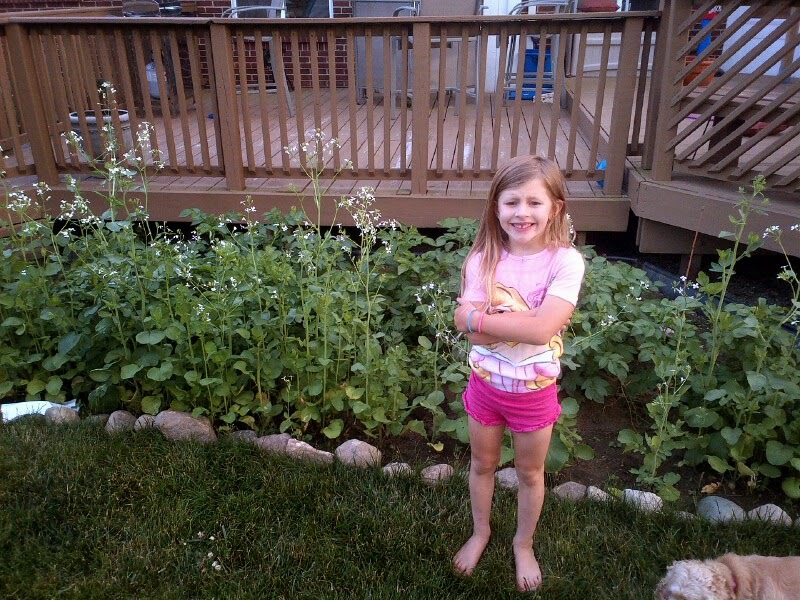 The radishes are actually better now that they have flowered. They were a bit spicy before. That is my update for the early summer. 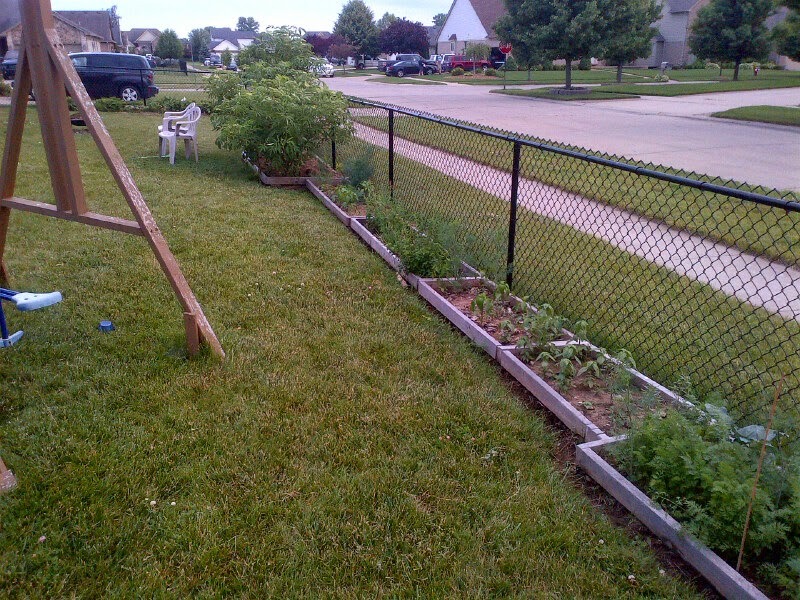 I am happy with the progress of the garden so far. I should have a ton of stuff this year!